As W. Edwards Deming says, "In God we trust; all others must bring data", we truly observe that data virtually drives decisions in business, politics, society, sports and in every other sphere of life. The data, more specifically, 'Big Data' has created the buzz in our day-to-day life. It appears with five V's: Volume, the amount (from terabytes to petabytes) that is being generated per unit time; Velocity (from one-time snapshots to high frequency and streaming data), the speed at which it is being created, accumulated, retrieved and processed; Variety (numeric, network, text, images, audio, video), the extreme heterogeneity in data; Value (the true return on investment), the usefulness of data being produced; and Veracity (reliability and validity), the inherent correctness subject to variation. In the wake of huge requirement of big data professionals, the universities should come forward and supply such expertise to business world. There is no escaping from the excitement of the wave of this Big Data. The overwhelming effect of it is felt everywhere, right from predicting flu outbreaks, curbing air pollution, controlling crime rates &predicting traffic jam to envisaging changes in political games. 4. Internet-of-Things (IoT) enables a sensitive ecosystem to connect humans with objects. 5. Open data system, which has made the information about business, politics, social life and many more aspects of life completely public. Digital Data Streaming has enabled continuous flow of real-time data for firms to optimize their decisions. App ecosystem and open source software, the two key phenomenal result of technological advancement, have become enablers to the success of real-time data utilization. Social media and e-commerce play major roles in value co-creation by individuals due to network effects. The confluence of big data, cloud computing, social media and internet of things has made today's business to think differently. Realization and utilization of Big Data has impacted both business world and academia. In one hand, big data is influencing business by improving its process efficiencies, by re-balancing the power of relationship in decision-making and by altering the scale of optimizations. On the flipside, big data has brought a paradigm shift in academics by posing the challenges before the researchers to develop new methods and techniques to make use of this big data effectively. The era of Big Data is experiencing the development of new educational programs and research initiatives to meet the enormous demand for analytics expertise. Leadership: Companies cannot become successful unless they have proper leadership team with clear goals; the team, which can identify the right opportunity and can think creatively; more importantly, the team, which can draw insight from data and take decisions accordingly. It is time to embrace from "What do we think" to "What do we know". It is just not nurturing the big data. Competitive benefits accrue from the scale of using the information effectively. The business analysts must be trained to capture, store and analyze big data, must be proficient in big data modeling and decision-making. This poses a major challenge for businesses, which adopt big data strategy and for existing employees. In the wake of huge requirement of big data professionals, the universities should come forward and supply such expertise to business world. A new generation of computer professionals has to be nurtured as more and more visualization tools and techniques are emerging. This pretense a yet bigger challenge: Are the universities ready with big data education? The tools to handle volume, velocity & variety are being developed to utilize the big data. Hadoop, a common framework in big data, combines commodity hardware & open-source software. These tools are not very expensive, quite a few are available as open-software. The challenge is these tools are new to existing IT professionals, who need to make use of such tools and integrate all the relevant data. Therefore, while corporate are adopting Big Data approach, Computer Science and Information Technology and other Analytics related academic program must be evolved around these technologies. In big data era, the information is created and transferred; yet it may not be properly used while making decisions as decision-makers and analytics professionals may not belong to the same group or there may not be any intersection of thought process created by two separate groups. Therefore, most of the times, companies fail to realize the true benefit of Big Data strategy. This data-driven world has huge potential to grow and flourish. However, the challenges, including economic, social, political, and technical & others must be addressed to exploit the full potential of data. The companies must gear up their technological skill to reap up the gains in conjunction with universities and other academic institutions. Dr. Madhumita is an accomplished professional who has more than 23 years of teaching experience in national & internationals arenas. Her core competencies lie in the areas of Statistical Model Building, Data Visualization, Predictive Modeling, Optimization Analytics, Pattern Identification, Financial Modeling & Risk Analytics. 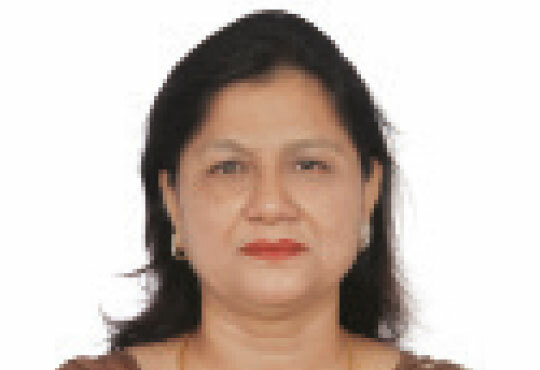 Dr. Madhumita's research is based on diversified area including financial management, supply chain management, marketing, consumer analytics & knowledge management.